Samya has been working with the Council of Agencies Serving South Asians since 2015 in different capacities including as a Project Coordinator, Project Manager, and recently Interim Executive Director. Samya attained her Masters of Public Policy degree from the University of Toronto’s School of Public Policy and Governance in June 2013. Prior to her Masters, Samya attained an Honours Bachelor of Arts in Sociology and Political Science from the University of Toronto. She has a particular interest in social policy and is passionate about advocating for poverty reduction in Canada. She has written policy papers on transportation, immigration & race relations, child care, housing, international development, economic development & innovation, health care, and City branding. Prior to her employment at CASSA, Samya worked at the Affordable Housing Office at the City of Toronto as a Research Associate and Policy Consultant. During her time at the Affordable Housing Office, she worked on various housing-related portfolios supporting low-income and marginalized communities including Toronto Community Housing, and Affordable Homeownership. As a Toronto Urban Fellow for the City of Toronto, Samya worked at the Municipal Licensing and Standards division, conducting by-law reviews of business industries in Toronto. Samya also has experience in the not-for-profit sector through her volunteer work with the Orphan Sponsorship Program and Beauty for Breast Cancer. She was the past President and Donor Liaison of the Orphan Sponsorship Program through which more than 150 orphans in over 22 developing countries are given financial support on an annual basis. Samya is also the President and Founder of Beauty for Breast Cancer, a not-for-profit organization that provides financial support to breast cancer patients in Pakistan. Samya is currently in the process of attaining her second Masters degree in Islamic Studies. She has two children under the age of 5; Ammara and Zakariya, who she hopes to raise as the leading progressive thinkers and doers of their generation! Augustine graduated from Bharathiar University – Coimbatore, India, with a Bachelor of Arts degree. He moved to Canada in 2009 as a skilled migrant and he was the Community Partnerships Manager with Social Services Network of York Region for the last 6 years. Augustine was also Board Chair of TESOC Multicultural Settlement Services for five years. He is an active Board Member of “York Regional Police District 5 Liaison Committee, York Region’s Social Planning Council & Mennonite Church of Eastern Canada. Augustine also has diverse international experience including working as the Head of Office for International Committee of Red Cross and International Organization for Migration (IOM) in Sri Lanka prior to his Canadian migration. He has performed needs assessment for resettlement facilities requesting humanitarian aid and relief assistance, which took him to countries in conflict; such as Sudan, Thailand, Myanmar and Cambodia. He also assisted with emergency evacuations and with tracing programs for family reunification in Nauru Island. He is a member of the Disaster Management Panel of the International Organization for Migration. He has also participated in refugee assistance training programs in Geneva, Switzerland. His humanitarian work, especially with post-war refugee assistance in Eastern Sri lanka, has brought him a high-level award from the UN Secretary General Baan Ki Moon, awarded in September 2009. He is fluent in seven south Asian and mid-eastern languages. Augustine Jegasothy received Council of Agencies Serving South Asians (CASSA) service excellence award 2014 in recognition of the exemplary work among vulnerable communities, particularly in and among South Asians. Farhat works as Finance Coordinator at CASSA. She has over a decade of experience in accounting in non-profit sector. She is responsible for all aspects of bookkeeping including budgets, financial reports, payroll, banking needs, cash flow analysis and more. She also assists with the annual audit and updates the management about the fundraising needs of the organization from time to time. Fareeha Aziz has over seven years of experience working in the areas of social justice, law reform and transitional justice issues. She brings her years of experience working with the South Asian community including in Sri Lanka, India, Nepal and Thailand. Fareeha has conducted many training programs and been part of several research and publications in the areas of human rights, conflict transformation, peacebuilding and good governance. Prior to joining CASSA, Fareeha worked at the South Asian Legal Clinic of Ontario. She holds a Masters in Law degree from Osgoode Hall Law School, York University. She is a Mediation Coach and an alternative dispute resolution (ADR) practitioner. Fareeha presently works at CASSA in the capacity of Project Coordinator for the legal education project, where she engages and promotes the accessibility of legal information for marginalised groups and advocates for social justice. Jassi is the Intercultural Collaborative Project Coordinator at CASSA. He is currently completing his Master in Environmental Studies at York University. His ongoing research and community work is focused on developing links between the Punjabi diaspora and Indigenous-led environmental justice movements in Canada by exploring intersecting lived experiences and the urgency and potential for solidarity. Jassi also holds an Honours Bachelor of Arts in Human Rights from Carleton University and a Bachelor of Arts in Psychology and History from the University of British Columbia. Since 2012, Jassi has worked in the settlement sector and grassroots social justice community organizations to support and advocate alongside immigrant and refugee communities and environmental justice movements across Canada. Mathura is the Senior Research Analyst leading a community based research study on the employment needs, barriers, and recommendations for employment equity for South Asian immigrant communities in Toronto, funded by the United Way Greater Toronto. Mathura has a background in public policy. Mathura has worked in the academic, governmental and non-profit sectors. Mathura has an interest in gender-based issues, labour, and feminism. Her long-term career goal is to increase the effectiveness of programming and policies for women’s empowerment. Rohullah Naderi is CASSA’s new Outreach Coordinator. He has a master’s degree in political science from Lehigh University, USA, and another master’s degree in communication from Bangalore University, India. He has been in the nonprofit sector for close to four years focusing on the women empowerment and education. He is extremely happy to be part of CASSA ‘s vibrant team. 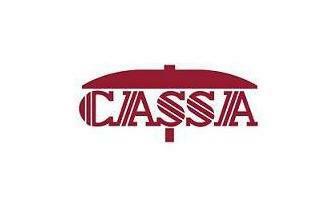 CASSA’s mission of working toward social justice and advocating for an inclusive society resonates with his principle of creating a racially-diverse and socially just society where everyone can grow and realize her/his potential. He looks forward to working with the energetic employees of CASSA and partner agencies to help South Asian community experience a smooth integration into Canadian society. Tsega is working as a Membership Coordinator, she has BA in Economics from Arbaminch University, Ethiopia. And have over 8 years’ experience working in the non–profit international organizations, consonant offices and private companies too. Mainly on Agriculture, health and nutrition projects on mothers and young children. Her working experience is more on socio- economic research, project management and design, development work, poverty, planning, monitoring and evaluation, In Canada she completed service excellence training from St. Stephen Community House, she did her Co-op placement at FCJ Refugee Center as an administrative assistance. Tsega also has experience on fundraising activities with World Vision Canada for child sponsorship. She has strong belief in equity and social justice and is hoping through her at CASSA, she will create a positive impact on South Asian communities. Rida is currently pursuing the Social Service Worker Program at Centennial College as well as having a background in Public Policy and Sociology. She is passionate about helping marginalized communities and creating an inclusive environment. By working with youth, adults, individuals and families, she hopes to focus on important issues such as anti-oppressive behaviour, anti-racism, discrimination and diversity. She decided to do her student placement at CASSA because it is an organization, she believes, promotes such values and positive community development.